You can make a difference and gain work skills! There are many different types of work you can enjoy as a volunteer. See our ideas below. 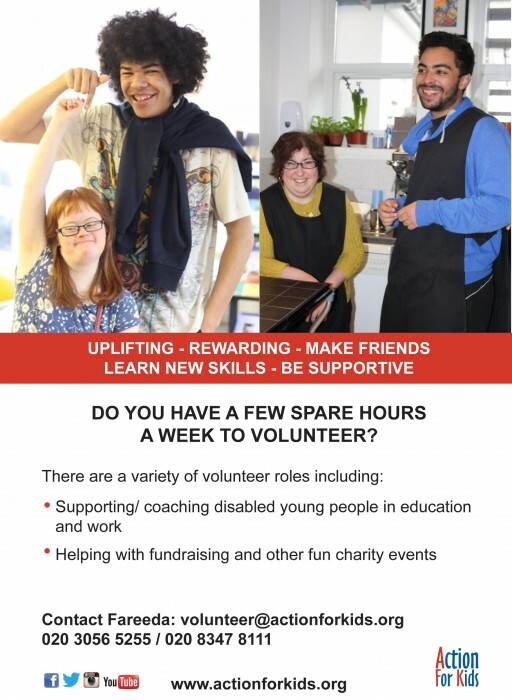 From accompanying a young person to and from their work placement, maybe coaching them with their job tasks, spending time with the elderly, offering them friendship and essential company or maybe supporting fundraising for charity events throughout the year there's many volunteering opportunities for you. 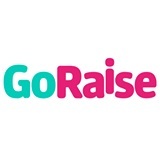 GoRaise is a shop and fundraise website. We work for you, collecting donations from retailers every time you or your friends shop online. The best bit though- It's free to use! You buy the SAME products, from the SAME retailers, for the SAME price. The only cost is to the retailer and the reason they donate is as a thank you for your custom. There are over 2,500 retailers that have agreed to donate to your chosen good cause. Your chosen cause can be a charity, however we also help lots of other good causes that don't have charitable status. PTAs, scouts groups, sports clubs, community groups etc. all benefit from using GoRaise. It's not just for personal shopping either. We have lots of B2B retailers so you can get your employer involved by getting them to make their business purchases via GoRaise. Donations can be generated every time they buy stationery and IT equipment or book hotels and train tickets. If you have any questions, contact Paula, our Community Manager on 07745146877 or email Paula here. 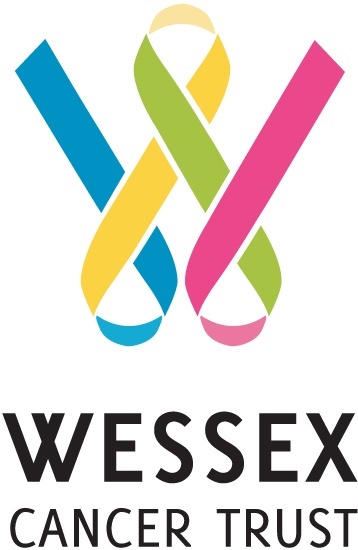 Wessex Cancer Trust provides local support services for patients and families living with or affected by cancer throughout the Wessex region - Hampshire, Dorset, Wiltshire, Isle of Wight and the Channel Islands. 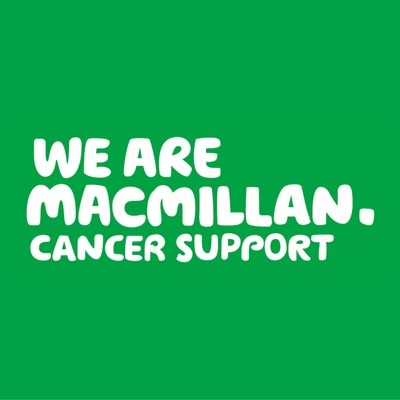 Our support services include: Free counselling, complementary therapy & befriending at our local cancer support centres, holiday homes, singing support groups, patient information packs, transport link services for patients from the Isle of Wight, and financial support. The charity, established in 1981, has its Head Office in Chandler's Ford, Hampshire. Why not take a look at our volunteers page here or join us on Facebook or Twitter. 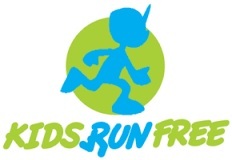 Kids Run Free is a charity that organises fun, running based activities for children in their local parks and schools. Currently we have two children's running programmes: Kids Run Free Running Races and Kids' Marathon. Kids Run Free is a sister company to Raceways, a sports events management company whose profits go directly to the charity. We are a charity which aims to promote an active, healthy and happy lifestyle for children. We believe children need to be encouraged to regularly take part in outdoors activities, so our events are designed to get kids up and running from an early age. We also believe that to sustain children's interest these activities need to be fun - that's why we make our events family occasions, encouraging parents to come along with their children and make good use of their neighbourhoods' recreational facilities. Currently we run events in Birmingham (Kings Heath, Ward End and Hamstead), London (Richmond, Brent and Hillingdon),Coventry (Memorial Park and Longford Park), Leicester (Knighton Park and Braunstone Park), Leamington Spa, Solihull (Olton and Bentley Heath), Alcester, Nuneaton, Coalville, Northampton, Bedworth, Worcester, Tamworth, Daventry, Brighton, Rugby, Loughborough, Warwick, Shefford, Pershore, Wallingford, Milton Keynes, Banbury and Dudley. Visit our Locations page for more details. We have made fantastic progress in the four years since Kids Run Free was founded, with 5000+ youngsters registered already. We launched fourteen new venues in 2015, and have plans for ten more in 2016. As a charity, Kids Run Free is reliant on sponsorship, donations & funding from Raceways Events. Why not take a look at our volunteers page here or join us on Facebook or Twitter. 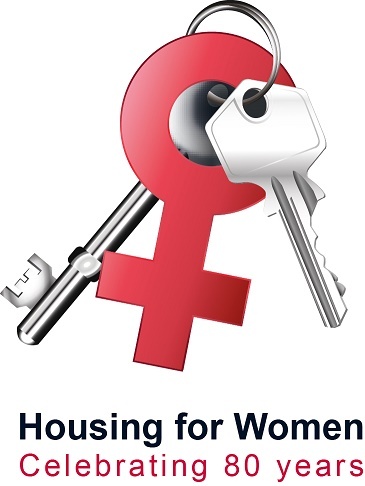 A housing association and charity dedicated to improve lives by providing social housing and gender sensitive support services to women in London. We want to ensure that women and their families who are facing challenging circumstances have the best chances in life, whether they have simply been priced out of the London housing market, or have experienced domestic violence, been a victim of trafficking or are ex-offenders. As a registered social landlord we provide housing in London for single women and those with families. We offer emergency refuge accommodation, floating support, children’s services and telephone advice to women who have or are experiencing Domestic Violence. We provide appropriate accommodation and support to mothers leaving prison so they can regain custody of their children and gain the life skills needed for resettlement. We offer second stage housing and in-depth support to women who have been trafficked to the UK for prostitution or domestic servitude. And we also support older tenants by promoting their wellbeing and confidence, with an aim to help people live independently in their homes during later life. Volunteers are extremely valuable to us; they help us deliver vital work to vulnerable women and their families. We believe that volunteering is an important way to gain new skills and recognise that there are individuals within the community that are able to assist in service provision by contributing their differing skills, experiences and expertise working as volunteers. In a supportive environment we aim to help volunteers meet new people, increase self-esteem and confidence while gaining experience of working in a professional environment. Refuge Support (Adults and Children): Working alongside with refuge workers to provide a supportive one to one service to clients. Mentors: Helping us to empower Re-Place and Re-Unite service users to be in control of their own lives. Office Support: Contributing at operational level to the day to day running of the organisation. Holding a small fundraising event – however small – every penny will counts! Help to promote our Wheels at Work campaign, where we invite people to do a sponsored day in a wheelchair. Take part yourself, or encourage the business you work for to get involved. We provide the wheelchairs, and there is no limit to how many people can get involved. Its’ all about empathy and getting a small insight into life as a wheelchair user so please pick a date that suits you and have a go. You can also come and help in our office at Stoke Mandeville – we are always on the lookout for expertise to support our team in any way. To find out about opportunities or to get involved in Wheels at Work join us on facebook, twitter , email Charlotte Minoprio here or phone 07792 407298. Make your time matter - With 2.5 million people in the UK now living with cancer, our challenge to make sure no one faces cancer alone has never been bigger. That's why we need people like you to volunteer your time in whatever way you can. Interested? Search for a volunteering opportunity to suit you. If you need more information, contact us by email or calling 0300 1000 200. 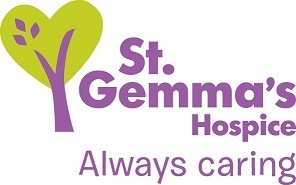 St Gemmas Hospice, Leeds provides the best possible care and quality of life for local people with cancer and other life threatening illnesses. It’s a friendly, warm and safe place at the heart of the local community with a large range of expert services to support patients, their families and friends. Whether our volunteers help in our shops or at the Hospice, they all contribute to helping St Gemma’s care for local people at the most difficult time in their lives. We have volunteer roles available across our 22 charity shops in Leeds, and we also need volunteers to help at our fundraising events. We also occasionally recruit for Hospice based roles, such as Ward Shoppers, on reception, in our Gardens, or in our Arts Room. To find out how you can get involved, please visit www.st-gemma.co.uk/volunteering. Or phone our Volunteers Coordinator on 0113 218 5193, please do contact us by email too. Why not keep up to date with diary of events here. St Gemma’s Hospice could not survive without the help and support provided by volunteers who give their time and energy so selflessly. Your contribution really will make a difference to the lives of local people. 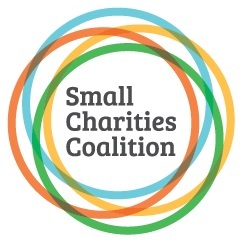 Small Charities Coalition is a national umbrella and capacity-building organisation with over 7,000 members UK-wide. We exist to help trustees, staff and volunteers of small charities access the skills, tools, and information they need to get going and do what they do best. We define a small charity as any UK charitable organisation with an annual income of less than £1million. That's 97% of registered charities, which is an incredible 160,000, and over 600,000 micro char ities that are too small to register. We're about building effective and lasting relationships with people and organisations from all sectors so that together we can lend a helping hand and allow the thousands of small charities across the UK to reach their full potential. In the wider sector we listen to, respond and represent the needs of small charities so that the world they operate in works to support them. Through our personalised services we aim to get the right people talking to each other. We believe that by building these bonds and spreading the resources and skill sets through free advice, affordable training and other useful services, many small charities can really thrive. It's this ethos that allows the Small Charities Coalition to really empower small charities to provide core services that tackle those rare diseases, combat those difficult social issues and address those neglected causes. Alzheimer's can happen to anyone and there's currently no cure. There are 850,000 people with dementia in the UK and the number is set to rise to 1 million by 2021. At Alzheimer's Society, we believe passionately that life doesn't end when dementia begins. We are here for anyone affected by dementia, and we do everything we can to keep people with dementia connected to their lives and the people who matter most. We are the UK's leading dementia support and research charity, here for anyone affected by any form of dementia in England, Wales and Northern Ireland. We provide information and practical and emotional support to help people live well with dementia, and we invest in world-class research with the ultimate goal of defeating it. We also campaign to improve public understanding of dementia and the devastating impact it can have, and make sure it's taken seriously and acted on by our governments. 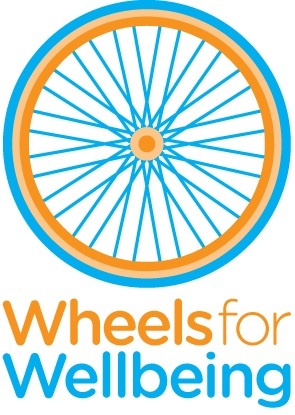 WFW is an award-winning charity supporting disabled people of all ages and abilities to enjoy the benefits of cycling. Cycling can be easier than walking, a way to keep independent, fit and healthy, a mobility aid, and a useful form of everyday transport. Inclusive cycling means EVERYONE can cycle regardless of age, health condition or impairment. Since 2007 we’ve worked with thousands of disabled children and adults who face barriers to taking part in any physical activity. Informed by life-changing personal experience of disabled trustees, staff and volunteers, we’re determined to show that anyone can enjoy cycling, given the right equipment, support and environment. Wheels for Wellbeing exists to enhance disabled people’s lives by ensuring that anyone can access the physical, emotional, practical and social benefits of cycling. Wheels for Wellbeing provide direct support to more than 1000 disabled people a year to discover or rediscover cycling, targeting a growing number of new participants each year – by keeping the wheels spinning at our drop-in and outreach sessions in SE London. If you are interested in being a Wheels for Wellbeing volunteer please do contact us by email or call us on 020 7346 8482 to find out more. Do-it.org lists over 1 million volunteering opportunities that are posted by volunteer centres, national/local charities and voluntary groups. Enabling 250,000 people every month to donate their time and build their skills, Do-it ensures that over 50,000 organisations find the help they need to provide vital services to the community.